Where is your legal residence? Question: If you travel fulltime, where do you renew your drivers license and what state to you file taxes in? Do you still need to own property somewhere to be a resident? Answer: In establishing an RV Home Base, there are a number of factors to consider in conjunction with individual circumstances. As a general rule, it is not a good idea to use one state for mail forwarding, another for a driver’s license, another as a legal address for tax filing, etc. States are apt to perceive such arrangements as an attempt to avoid their taxes or fees. We discuss some of these important considerations at RV Home Base. And we encourage potential fulltimers to read as much as possible about fulltiming as they make decisions. We welcome comments from other RV fulltimers on where they make their home base and why? And here’s more on fulltiming. Comments for Where is your legal residence? The thing about Texas (my legal residence) is jury duty. I’ve had several discussion with the court clerk in El Paso who says that notwithstanding the fact that I’m hardly ever in Texas at my legal residence (I still own an empty house there), I still am required to return from wherever I am for jury duty. Ha! Anybody else had this problem? Question: My wife and I are buying a 5th wheel in Ohio. We will be living in it in (most likely) Texas. We would like to know where the least expensive state is to license/register our 5th wheel. Answer: If you truly go fulltime, you should consider a lot of factors, not just where to register your vehicles. This is an individual decision that will depend on your overall circumstances. You will need to maintain/establish a legal address somewhere – an address you will use for employment, income tax reporting and everything else. In deciding on an address, you will want to consider a number of factors such as state requirements for vehicle registration, inspection, drivers licenses, state income tax, other taxes – property, estate, etc., insurance costs, how you will take care of medical visits, mail forwarding, etc. Look at all the aspects that will affect you, not just the obvious. South Dakota and Texas are popular choices as a home base state for RVers. Specifically on the subject of RV registration, you can register an RV in the state you use as your legal address. 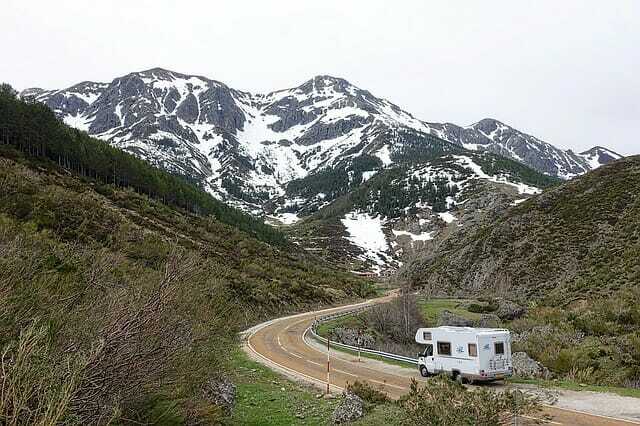 Another option if you are buying a new RV is to consider an LLC in Montana (no sales tax). Some states are beginning to question the legality of this arrangement, but it may be worth pursuing. As you weigh alternatives, compare insurance costs, registration and other fees and requirements for vehicle inspections. If you are going to be living in Texas most of the time, that might be a logical home base state. Escapees is a club that caters to fulltimers, and many fulltime RVers make Texas their legal residence. Definitely join Escapees and check out their forums and information on establishing Texas residency. Automate bill payments and go paperless wherever possible to minimize snail mail. Many of the states that fulltimers use as a home base have companies that do mail forwarding. And the post office may even have such a service now. Our legal address and mail forwarding service is in South Dakota. We use a company called Alternative Resources. We call them every few weeks to forward our mail to wherever we are located. They also took care of registering our car in SD, when we first made SD our legal address. And we made a trip to SD to get our drivers license. We only need to return every 5 years to renew it. We do our car registration renewal online. In addition to Texas and SD, Florida is another possibility. We think both Good Sam and Camping World have mail forwarding services in Florida. We have not researched registering a vehicle there. You will find that Alaska, Florida, Nevada, South Dakota, Texas, Washington, and Wyoming, all have no state income tax; and New Hampshire and Tennessee are limited to dividend income tax only. Where can you buy land and live in your RV for retirement? Question: Where can you buy land and live in your RV for retirement? We are looking for somewhere that you do not have restrictions on how long you can live there, such as only 6 months out of the year. Answer: We can offer a few suggestions. Look into RV lots for sale, consider a permanent park model in a RV/mobile home park, buy an annual site at an RV park, check out the options available through Escapees RV club. All of these have the added benefit of a community where you will find support, activities and social interaction – which can be a big benefit as we get older. If you are looking for a more solitary lifestyle, then you will probably want to find a geographic area that appeals to you and look for land, check town ordinances, etc. If you just need a place to stay and not necessarily buy land of your own, then perhaps boondocking somewhere would work for you. Or you might consider contacting local farmers or other landowners to see if you can work something out. We welcome others to respond to this interesting question. Comments for Where can you buy land and live in your RV for retirement? You don’t really specify what you have in mind as far as location and needs, but I wanted to share with you what my husband and I did. We had a pull behind camper and just bought a fifth wheel. I admit it’s not for everyone but you can buy land, get setup, and live in your RV here part-time. The land is pretty cheap and we love the area. Just thought I’d share our experience. Best of luck to you.